COLOGNE, Germany – The future of e-mobility is at risk without global harmonization of standards, a top Ford of Europe executive told the Automotive News Europe Congress here. Wulf-Peter Schmidt, Ford of Europe’s manager of sustainability, said that without a widespread, reliable charging infrastructure, affordable, safe products and common standards it will be difficult for electric vehicles to gain traction. Schmidt was one of four experts to take part in a panel discussion at the ANE Congress last week on the issues and opportunities for EVs in Europe. Tanvir Arfi, president of SPX Service Solutions, which is selling and installing EV charging stations in Europe and the United States, gave a good example of the current problems. “We have a charger, we just don’t know what plug to use,” he said. “There will be a minimum of three” different plugs to cover Europe, the United States and Japan, Arfi added. Felix Kuhnert, European automotive leader at consultancy PwC, agreed with the three other panelist that more alignment is needed regarding EV standards. Ford’s Schmidt, who has been part EU-level discussions on EV standards, said that there are competing views on how to move forward. 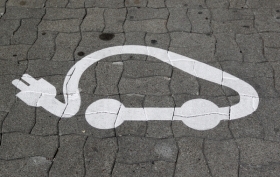 Some believe simplicity is the key while others think the rules and the required equipment for charging EVs should be engineered for the long term. Their fear is that the equipment that becomes part of the standards could be inferior to new technology even before an infrastructure is created. Late last month Bloomberg reported that the EU's top trade official told reporters that the EU and the United States were close to setting joint standards for EVs. "The EU and the U.S. are about to agree to an ambitious work plan aiming at aligning regulatory issues, standards and research" for those vehicles, EU Trade Commissioner Karel De Gucht said in a speech in Washington D.C.
PwC’s Kuhnert said he believes a decision on standards is possible in Europe by year end because billions of euros in government incentives linked to e-mobility are available. If there is no collaboration, he said, no one will profit.